European Government, financial, utilities, transportation and energy sectors have been hit by a large-scale ransomware campaign which is a new strain built from the previously discovered “Petya” ransomware bolstered by the eternal blue exploit. It has vastly impacted Russia and Ukraine, however, the attack has significantly spread in the wild across Europe and Asia in countries such as UK, Germany, France, Italy, the Netherlands, Spain, Denmark, Poland, India as well as the US. Petya ransomware is a malicious software created to shut down computer systems, encrypt system files and request a $300 Bitcoin ransom to a Bitcoin wallet, and then enforce victims to send a unique identifier to the email address [wowsmith123456@posteo.net] to confirm the payment and get the decryption key. As this is a new strain borrowing credible code from the “Petya” ransomware, it leverages the well known “EternalBlue” exploit targeting Windows SMBv1; a file-sharing service. The same exploit used by “WannaCry” ransomware to spread the infection in May 2017. Petya encrypts MFT (Master File Tree) tables for NTFS partitions and overwrites the MBR (Master Boot Record) with a custom bootloader that shows a ransom note and prevents victims from booting their computer. Public reports from ESET and Dragos claim to have discovered a new, highly capable Industrial Controls Systems (ICS) attack platform that was reportedly used in 2016 against critical infrastructure in Ukraine and state it has been rediscovered in the wild. As reported by ESET and Dragos, the CrashOverride malware is an extensible platform that could be used to target critical infrastructure sectors. Here are a few pointers to provide organizations with detection and mitigation recommendations to help prevent future compromises within their critical infrastructure networks. 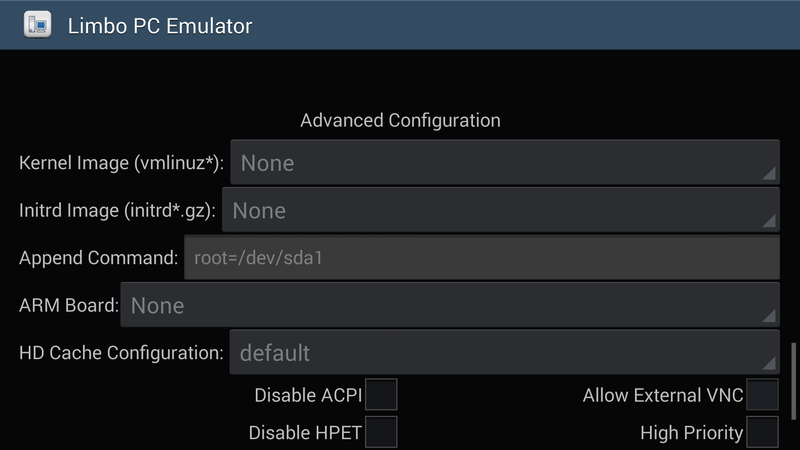 Issues valid commands directly to remote terminal units (RTUs) over ICS protocols. As reported by Dragos, one such command sequence toggles circuit breakers in a rapid open-close-open-close pattern. This could create conditions where individual utilities may island from infected parties, potentially resulting in a degradation of grid reliability. Denies service to local serial COM ports on windows devices, therefore preventing legitimate communications with field equipment over serial from the affected device. Scans and maps ICS environment using a variety of protocols, including Open Platform Communications (OPC). This significantly improves the payload’s probability of success. Could exploit Siemens relay denial-of-service (DoS) vulnerability, leading to a shutdown of the relay. In this instance, the relay would need to be manually reset to restore functionality. Includes a wiper module in the platform that renders windows systems inert, requiring a rebuild or backup restoration. As CrashOverride is a second stage malware capability and has the ability to operate independent of initial C2, traditional methods of detection may not be sufficient to detect infections prior to the malware executing. As a result, organizations are encouraged to implement behavioral analysis techniques to attempt to identify the infection. potential harm to an organization’s reputation. Properly implemented defensive techniques and common cyber hygiene practices increase the complexity of barriers that adversaries must overcome to gain unauthorized access to critical information networks and systems. In addition, malicious network activity should trigger detection and prevention mechanisms that enable organizations to contain and respond to intrusions more rapidly. There is no set of defensive techniques or programs that will completely avert all attacks however, layered cybersecurity defenses will aid in reducing an organization’s attack surface and will increase the likelihood of detection. This layered mitigation approach is known as defense-in-depth. On 12 May 2017, over 200,000 attacks in at least 99 countries around the world have been reported in a large-scale ransomware campaign known as “WannaCry”. WannaCry ransomware has been spreading as a worm over LAN and WAN networks by exploiting an SMBv2 remote code execution (RCE) vulnerability in Microsoft Windows (MS17-010). Microsoft patched the vulnerability on 14 March. The DOUBLEPULSAR backdoor allows attackers to inject and execute malicious code on a target system, it is installed by leveraging the ETERNALBLUE, an SMBv1 (Server Message Block 1.0) exploit that could trigger an RCE in older versions of Windows (Windows XP to Server 2008 R2). “An initial file mssecsvc.exe drops and executes the file tasksche.exe. The kill switch domain is then checked. 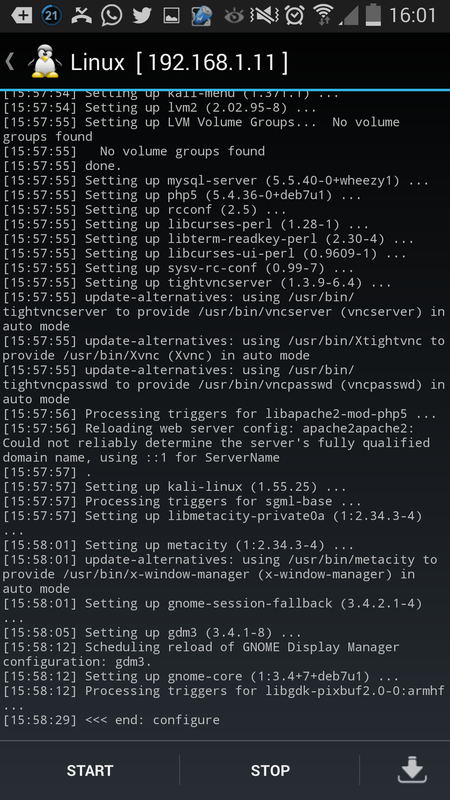 Next, the service mssecsvc2.0 is created. This service executes the file mssecsvc.exe with a different entry point than the initial execution. This second execution checks the IP address of the infected machine and attempts to connect to port 445 TCP of each IP address in the same subnet. When the malware successfully connects to a machine, a connection is initiated and data is transferred. We believe this network traffic is an exploit payload. It has been widely reported this is exploiting recently disclosed vulnerabilities addressed by Microsoft in bulletinMS17-010. We currently don’t have a complete understanding of the SMB traffic, and exactly what conditions need to be present for it to spread using this method.” states the analysis. WannaCry does not use any heavy sophistication methods for delivery. It first uses a password protected zip file, which has a document inside. Once the document is opened, it downloads a second stage which is an unsigned executable. This executable contains the delivery method for infection, worm replication, and exploitation. The malicious software beacons out to a domain hxxp://www.iuqerfsodp9ifjaposdfjhgosurijfaewrwergwea.com to check if the website is up, if it is, it will not execute. This has since been sinkholed and if the website is up, will not actually execute. This means you can either use DNS to redirect to a legitimate site to ensure it stays up, or keep it as is since it’s been sinkholed and is currently up and running now. The malicious software should exit now upon checking as the kill switch is now active. Ensure that all systems including clients and servers running Microsoft Windows have applied the official patch (MS17-010), which closes the affected SMB server vulnerability. Disable SMB v1.0 for good. Follow a multi-layered approach to security. At a minimum, run both firewall and anti-malware applications to provide multiple points of detection and protection to both inbound and outbound threats. Review network and host-based intrusion detection systems to monitor network traffic for signs of anomalous or suspicious activity and consider blocking the IOCs listed on this blog along with blocking the CnCs. Consider restricting connections on the following ports 445/139/3389 as applicable. /*The following Yara ruleset is under the GNU-GPLv2 license (http://www.gnu.org/licenses/gpl-2.0.html) and open to any user or organization, as long as you use it under this license. The hackers have released an updated variant with no killswitch functionality. Buckle up because its not over yet! The worrying factor is we could end up seeing other malwares piggybacking off this campaign. Also, the malware can be spread through other regular exploit vectors, such as spear phishing, drive-by-download attack, and malicious torrent files download. 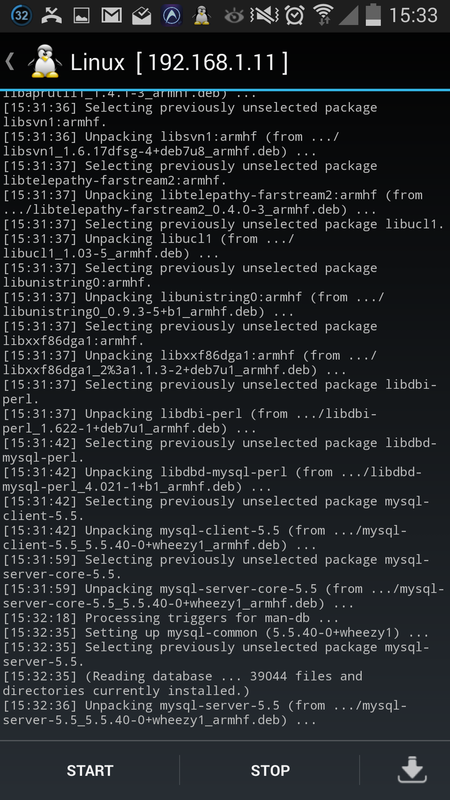 Two words for you: “Patch” your systems and “disable” SMB v1. Every Year we are witnessing a huge surge in Cyber Attacks worldwide from APT’s, to headless worms, targeted attacks, Ransomware, machine-to-machine attacks to DDoS, the attacks are becoming more and more diverse with Malwares piggybacking each other and collaborative approach towards exploiting vulnerabilities. Gartner predicts there will be 6.8 billion connected devices in use in 2016, a 30 percent increase over 2015. By 2020, that number will jump to more than 20 billion connected devices. The Cyber criminals had a hey-day in 2016 and will continue to do so in 2017 as well. With an increased concentration on Drive-by attacks, the emergence of “Internet of Things” is elevating the challenges poised not just to Organizations but, it brings the battle to our Homes. These are the Top 30 Cyber Attacks faced globally in the bygone year. These attacks have been listed here based on a criteria that includes Target, Magnitude and complexity. Poll: Which is the most disruptive Cyber threat faced today? Security testing is a crucial part of commissioning an application in your enterprise environment. The IT security team needs to have a robust arsenal of test cases when it comes to application security testing before the actual Go-live. This is the acid test for the application development team. Ideally you will put the application through two kinds of tests depending on whether it is an internal application or a web facing application. 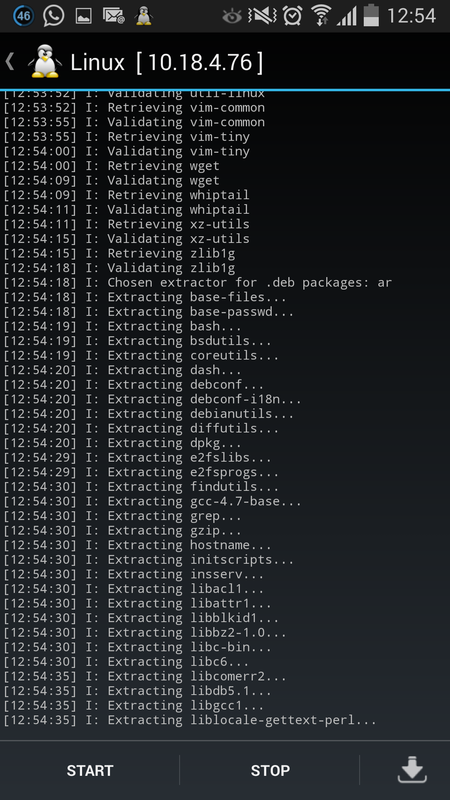 The web facing applications need to go through the pentest as well. 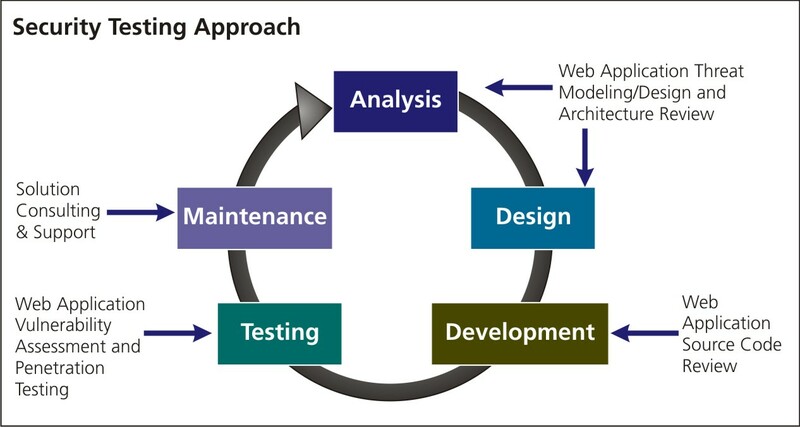 Security testing for Applications can be done at various stages of the enterprise SDLC namely during the analysis & design phase, development phase and post testing maintenance phase. However, in this blog I will be covering test scenarios specifically undertaken during the “Testing phase”. 1) Check if web application is able to identify spam attacks on contact forms used in the website. 2) Proxy server – Check if network traffic is monitored by proxy appliances. Proxy server make it difficult for hackers to get internal details of the network thus protecting the system from external attacks. 3) Spam email filters – Verify if incoming and outgoing email traffic is filtered and unsolicited emails are blocked. Many email clients come with in-build spam filters which needs to be configured as per your needs. These configuration rules can be applied on email headers, subject or body. 4) Firewall – Make sure entire network or computers are protected with Firewall. Firewall can be a software or hardware to block unauthorized access to system. Firewall can prevent sending data outside the network without your permission. 5) Try to exploit all servers, desktop systems, printers and network devices. 6) Verify that all usernames and passwords are encrypted and transferred over secured connection like https (SSL). 7) Verify information stored in website cookies. It should not be in readable format. 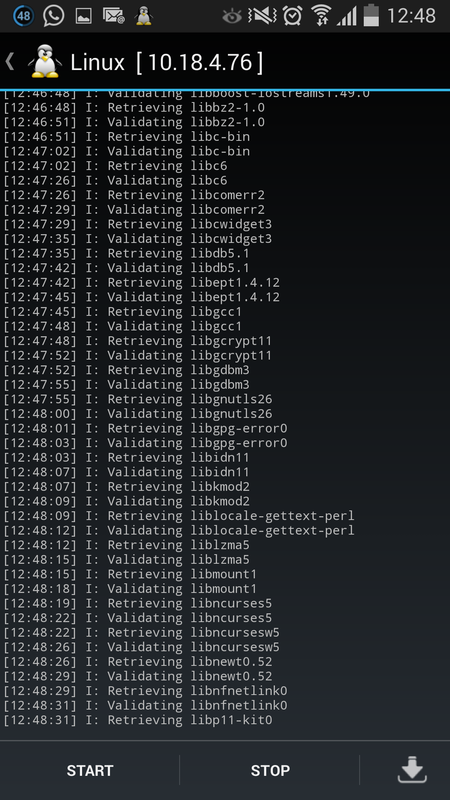 8) Verify previously found vulnerabilities to check if the fix is working. 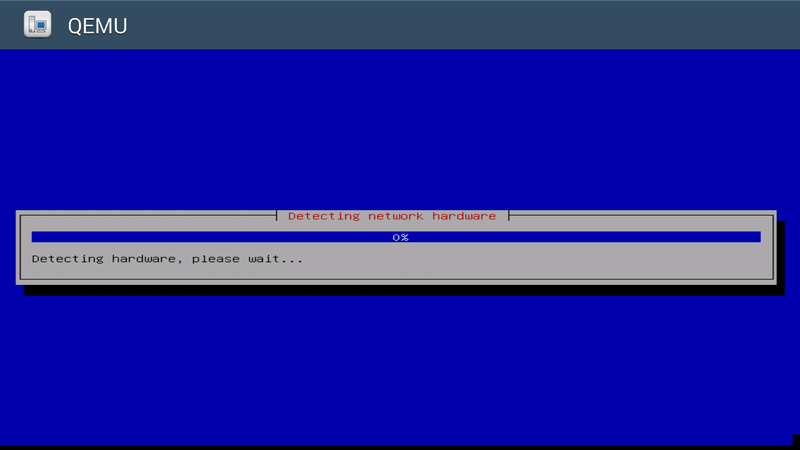 9) Verify if there is no open port in network. 11) Verify all telephone devices. 12) Verify WIFI network security. 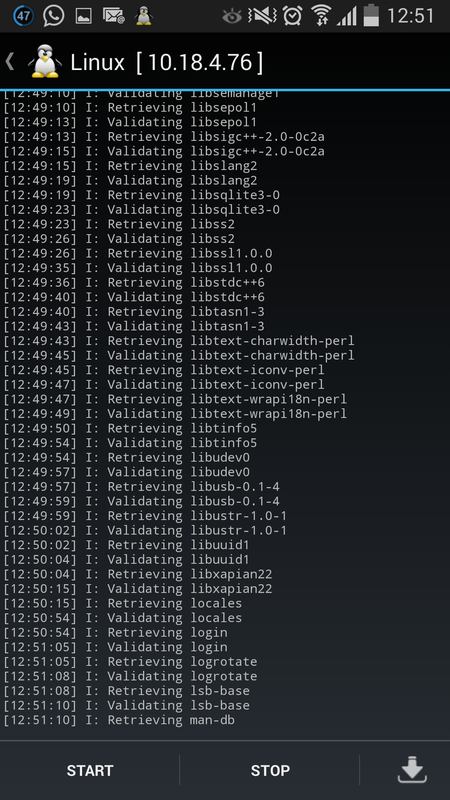 13) Verify all HTTP methods. PUT and Delete methods should not be enabled on web server . 14) Password should be at least 8 character long containing at least one number and one special character. 15) Username should not be like “admin” or “administrator”. 16) Application login page should be locked upon few unsuccessful login attempts. 17) Error messages should be generic and should not mention specific error details like “Invalid username” or “Invalid password”. 19) Verify if special characters, html tags and scripts are handled properly as an input value. 20) Internal system details should not be revealed in any of the error or alert messages. 21) Custom error messages should be displayed to end user in case of web page crash. 22) Verify use of registry entries. Sensitive information should not be kept in registry. 23) All files must be scanned before uploading to server. 24) Sensitive data should not be passed in urls while communicating with different internal modules of the web application. 25) There should not be any hard coded username or password in the system. 26) Verify all input fields with long input string with and without spaces. 27) Verify if reset password functionality is secure. 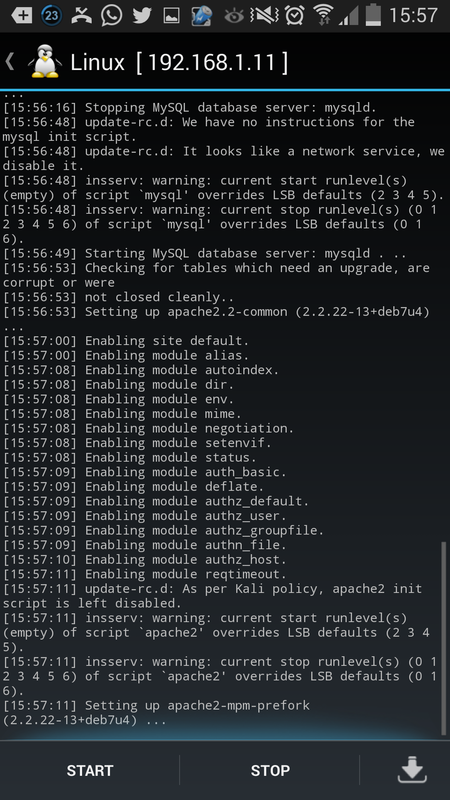 28) Verify application for SQL Injection. 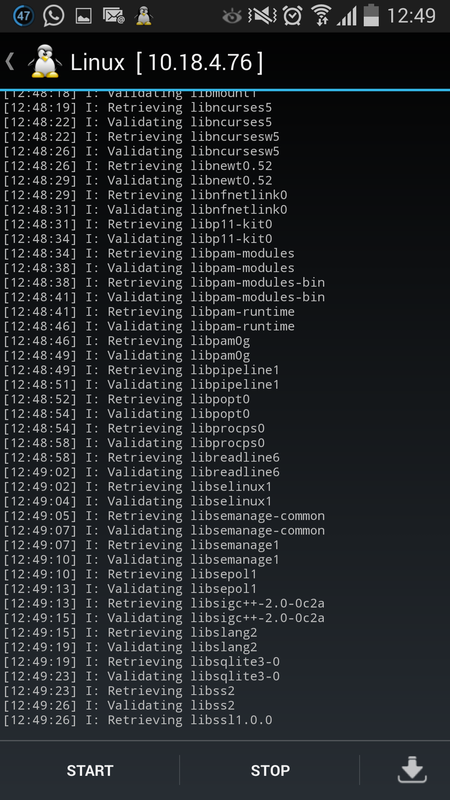 29) Verify application for Cross Site Scripting. 32) Critical resources in the system should be available to authorized persons and services only. 33) All access logs should be maintained with proper access permissions. 34) Verify user session ends upon log off. 35) Verify that directory browsing is disabled on server. 36) Verify that all applications and database versions are up to date. 37) Verify URL manipulation to check if web application is not showing any unwanted information. 38) Verify memory leak and buffer overflow. 39) Verify if incoming network traffic is scanned to find Trojan attacks. 40) Verify if system is safe from Brute Force Attacks – a trial and error method to find sensitive information like passwords. 41) Verify if system or network is secured from DoS (denial-of-service) attacks. Hacker can target network or single computer with continuous requests due to which resources on target system gets overloaded resulting in denial of service for legit requests. This blog specifically speaks about locking proxy settings on Firefox web browser. This method will prevent the users from bypassing your network proxy/content filter. It has been a cumbersome task for System Admins/Security engineers to prevent the domain users in their organization from tampering with the proxy settings in Firefox browser as Mozilla Firefox is not a proprietary Microsoft software and thus cannot be centrally managed by the AD group policy, the GPO settings will not be pushed to the computers running Mozilla Firefox and users will have a field day having an option to bypass the network proxy. Ideally to make this work, vendors like websense have articles wherein, they require you to download and push a non-proprietary, custom AD plugin which, might not go down well with experienced System Admins/security team. The method that I have depicted here requires no additional third party tool or plugin to make this work. To begin with, locate the Mozilla Firefox folder under “C:\Program Files (x86)\Mozilla Firefox”. It is a multi pronged process and you will need to ready 3 files which are basically script based configuration .cfg, .JS and .ini files. Please note that the syntax is very crucial here and any mismatch will render the configuration to not work. Once the script is pasted on the notepad file, save it as “mozilla.cfg” and place it under the parent directory “C:\Program Files (x86)\Mozilla Firefox”. 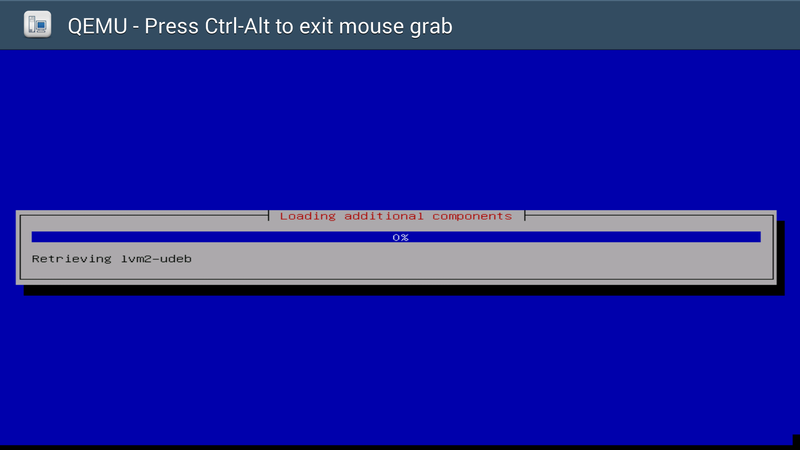 The second step is to create the override.ini file to disregard the default Mozilla flow. You will have to again locate the override.ini file which will be in in a sub-directory within the parent directory “C:\Program Files (x86)\Mozilla Firefox\browser”. Save the file in the same sub-directory “C:\Program Files (x86)\Mozilla Firefox\browser” with a .ini extension. Once done, save it in “C:\Program Files (x86)\Mozilla Firefox\defaults\pref”. Now you are ready to test it, close all instances of Firefox on the PC, log off and log back in as the user and test browsing on Firefox. You can check the proxy settings by going to Firefox Menu>Options>Advanced>Network>Settings, you will see that the proxy settings will be grayed out and it will locked with your corporate proxy settings. Now to push it to all users/computers in your organization, you can create a package in SCCM with the 3 files and push it to the entire domain. Ola people! 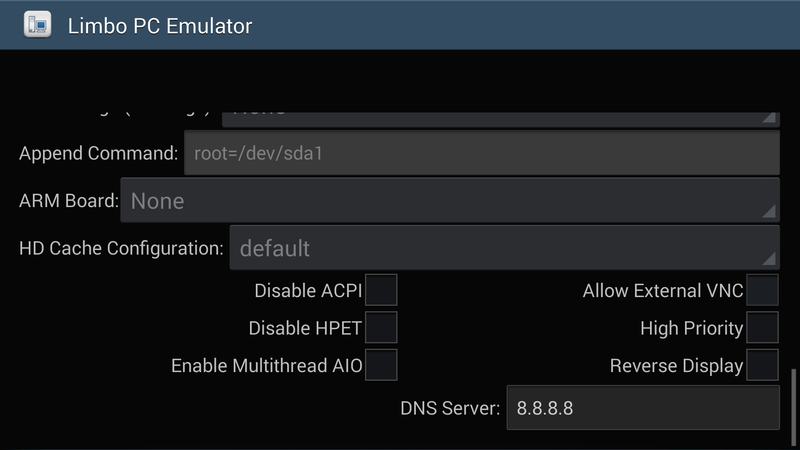 Thanks for the great response on my previous post for Kali install in an emulator environment. 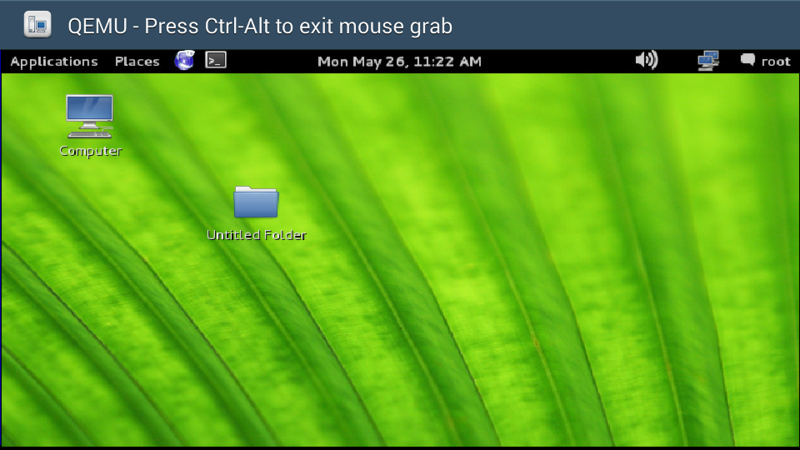 I pen this blog to cover the alternate method of install which infact is the chroot install. 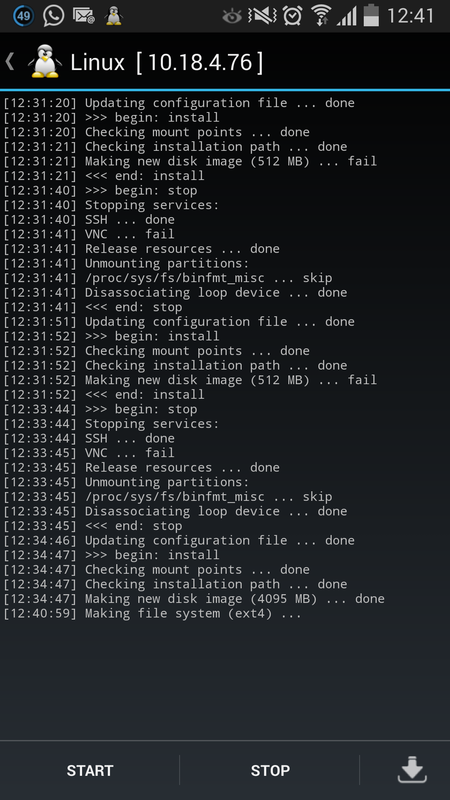 So what is chroot install? 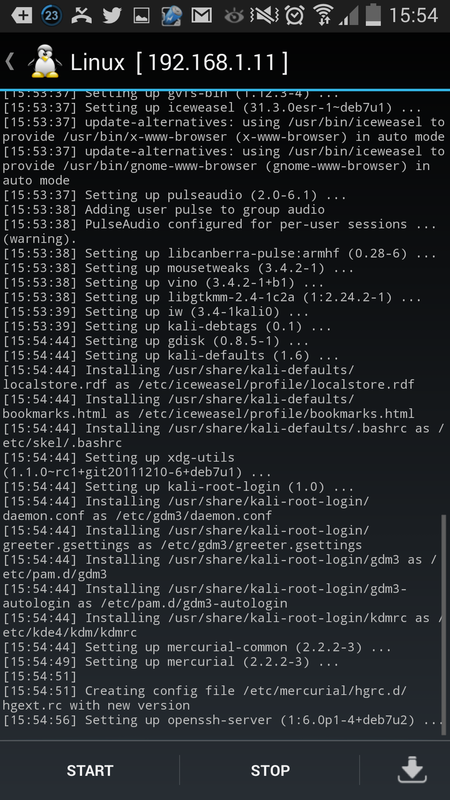 In layman’s terms it is running Kali Linux on a rooted Android device. 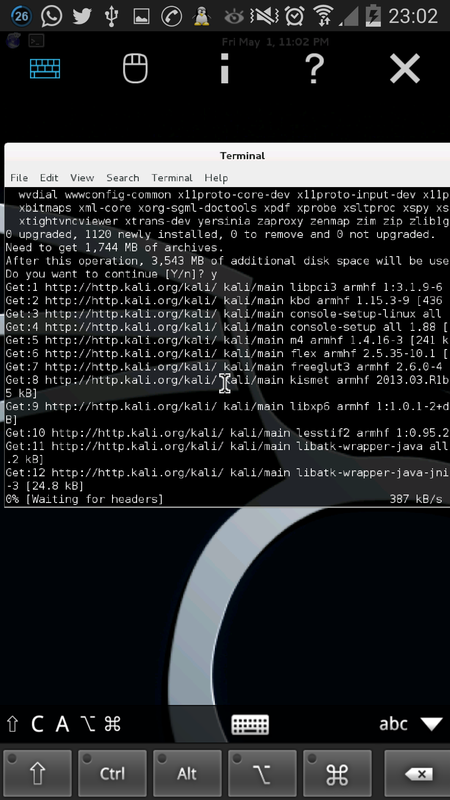 Getting Kali to run on ARM platform has been tricky for quite sometime until now. 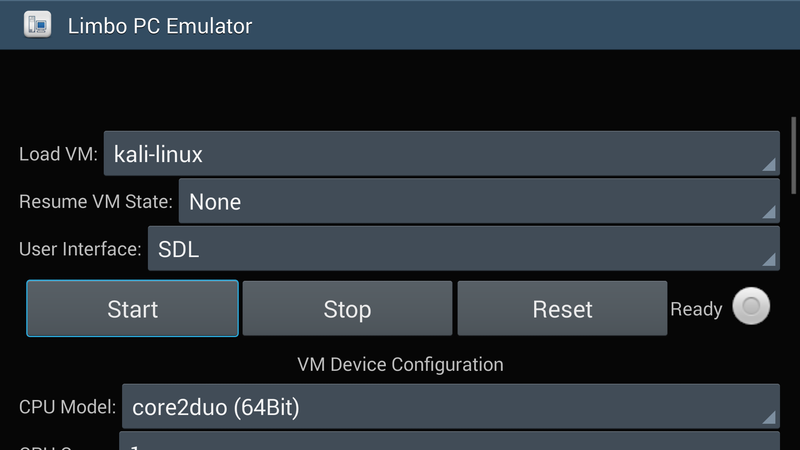 In this method, we will be using Linux deploy to install/boot Linux on your Android and VNC client to access the GUI on your device. What device have I used? Disclaimer: I’m not responsible for the damage to your device incurred during the rooting procedure. KINGO root is the real king when it comes to ease of rooting your android device. Just go to http://www.kingoapp.com, download and install the app, connect your android device to the PC/Laptop and follow the screen instructions. 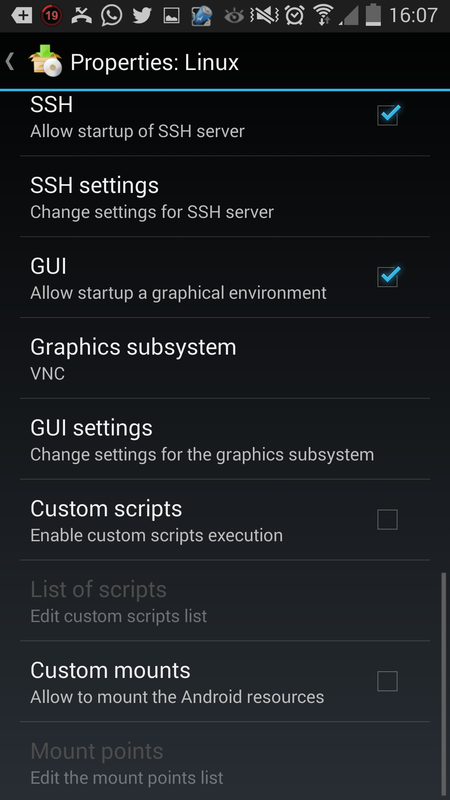 Once rooted, install SuperSU app on your android device, it is to grant superuser/root access to certain apps on your phone. 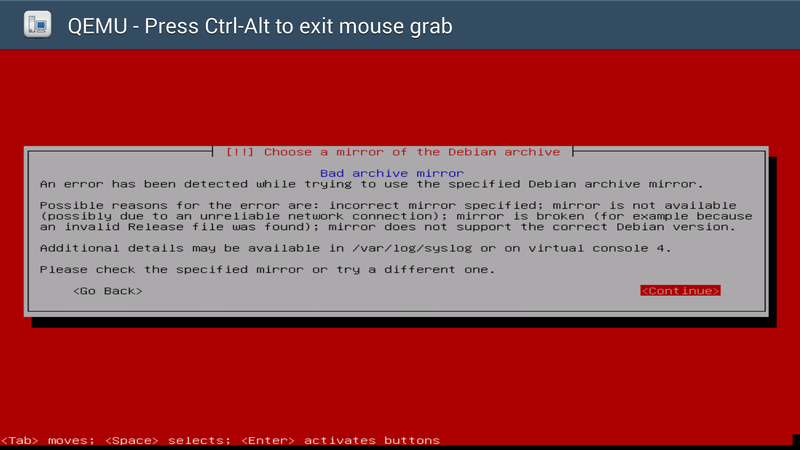 Install Linux deploy and VNC client on the phone. 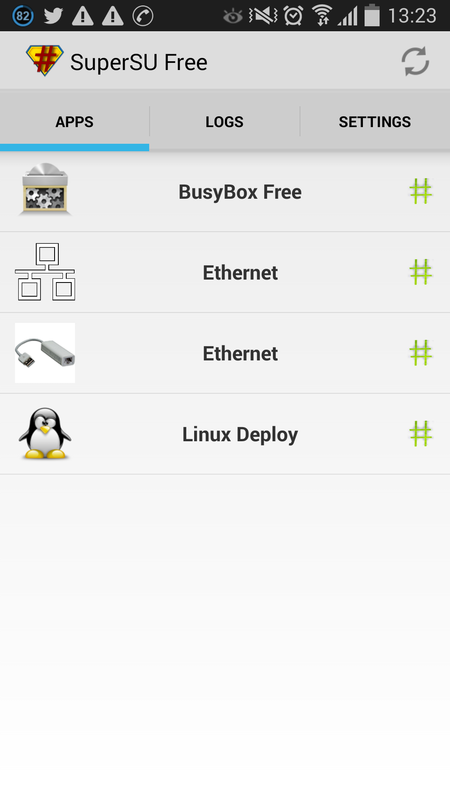 Give SU access to Linux deploy by using SuperSU app. 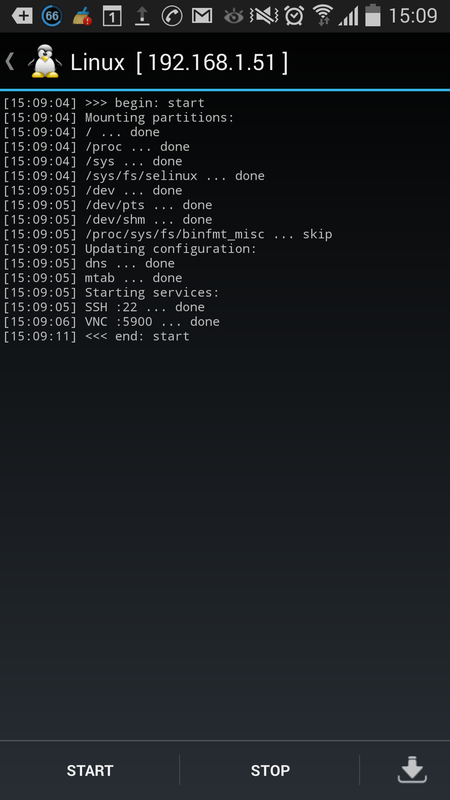 Below screenshots will show you the configuration I have used on my phone. 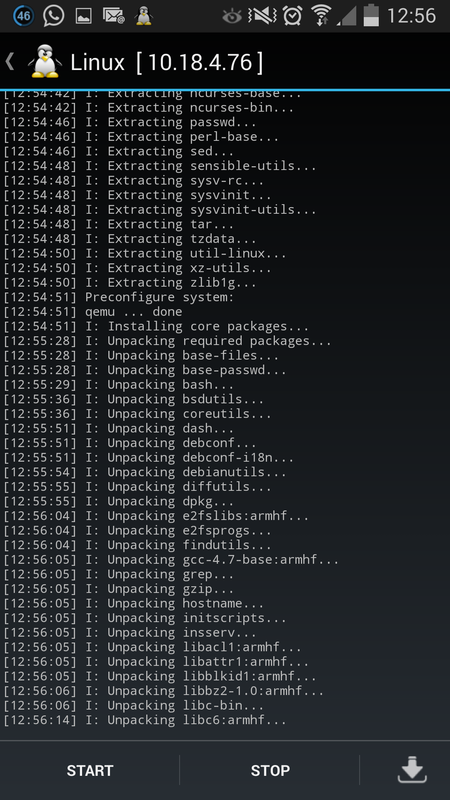 Once done, fire up the installation on Linux deploy. 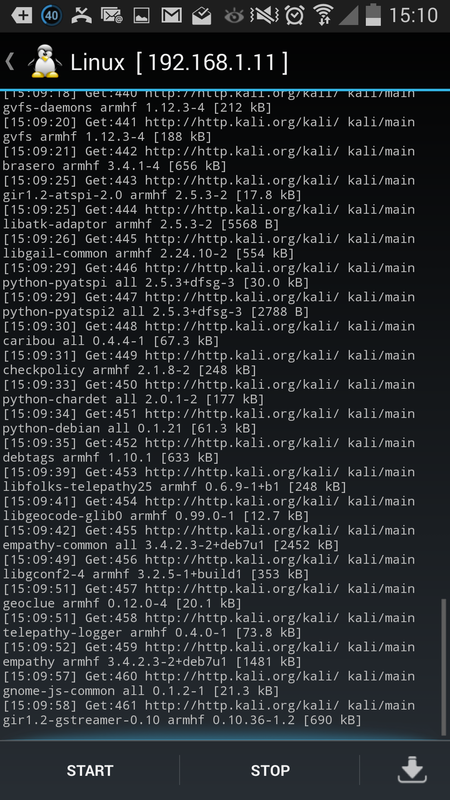 Please make sure you have a good internet connection for the Kali package download. Congratulations! 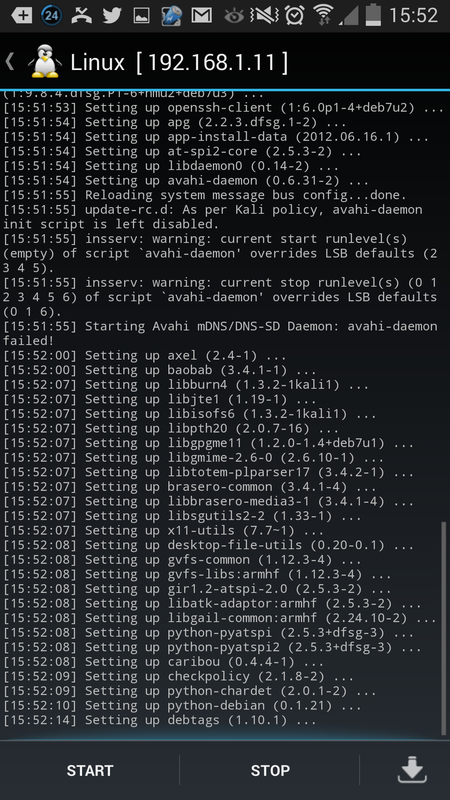 Kali linux is now installed. 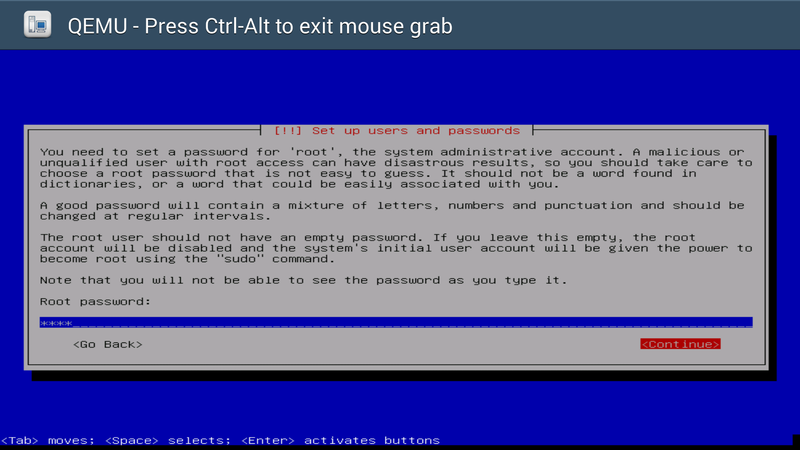 Username is “root” which was already mentioned during the Linux deploy config and default password is “toor”. 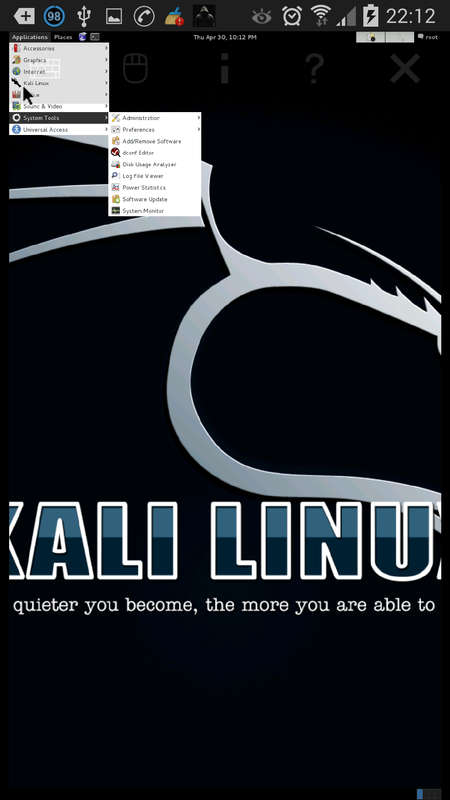 Start kali and mount the drives. 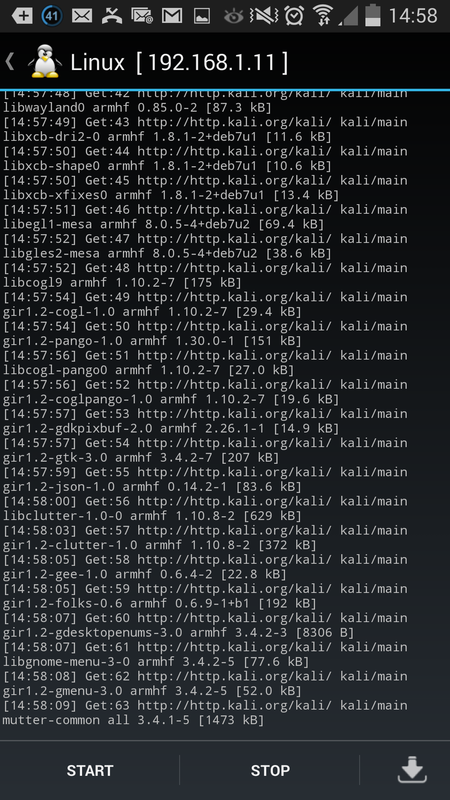 Now connect using VNC and voila Kali appears! Alright, that is job half done. 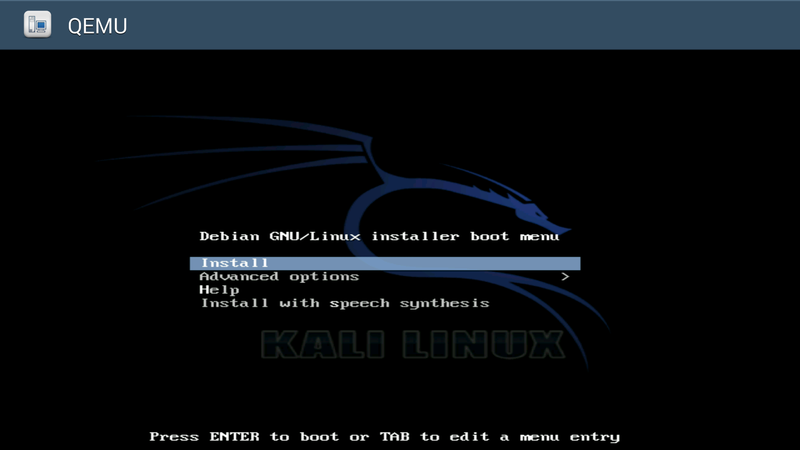 What you have is the base install of Kali, you can upgrade to a full-install or selective install depending on your requirement. 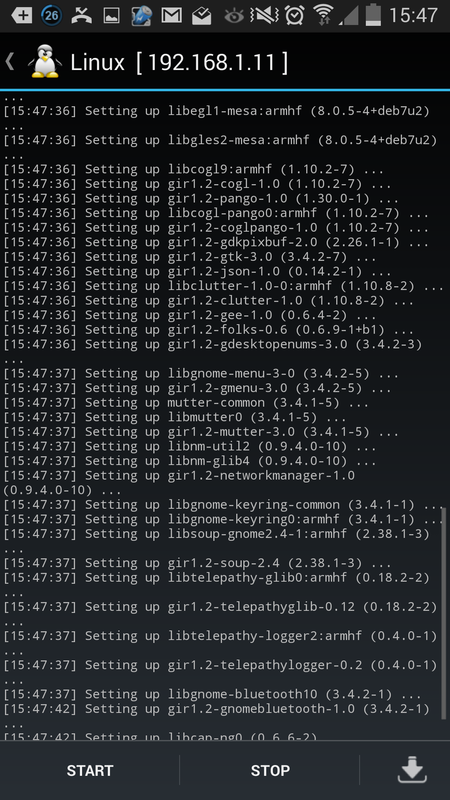 “sudo dpkg –configure -a” if it doesn’t fix it automatically then run the following command “sudo apt-get install -f” and then try running “sudo dpkg –configure -a”. If all else is fine, the installation will complete in due time. 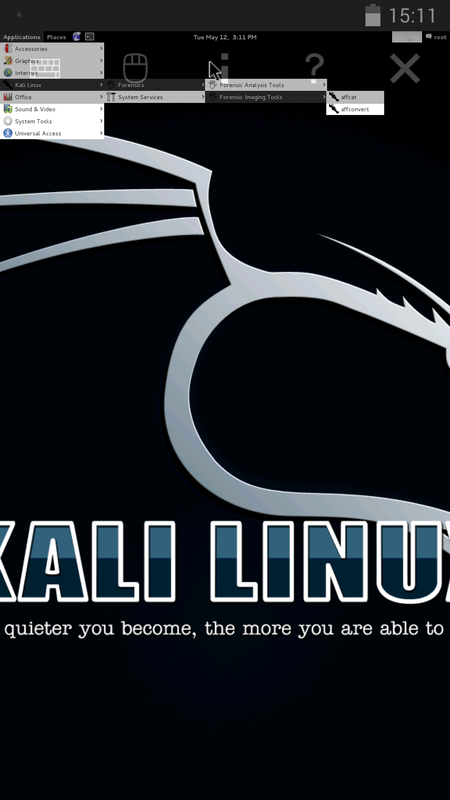 It takes quite sometime for the install to complete but, you will see kali tools appearing. Well my friends you now have the ability to use kali tools to test and exploit wireless networks but, what about wired networks? Would it not be amazing if you can use your phones to conduct full fledged pentests and exploits? Hell yeah!! Keep watching this space as my next post will cover exactly that! Numerous instances of security breach and data exfiltration at the SCADA/ICS environments the world over have caused more than a flutter, these attacks have happened in quick succession as if a string of beads has been broken. 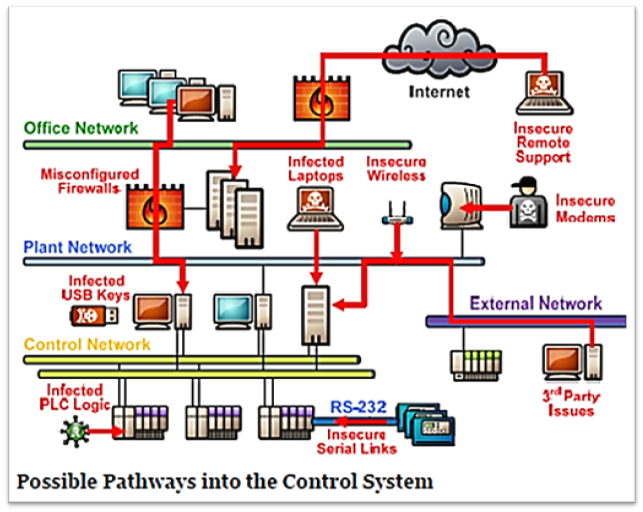 There are numerous pathways for intruding the haven of control systems environment. Let us take a look at the highlights of this critical vertical and the ones that made headlines. Stuxnet one of the most successful Malwares specifically targeting industrial control systems compromises the Iran nuclear centrifuges. Stuxnet variants are released in succession in the form of Flame, Duqu, etc. The extent of the damage caused by these worms is still unknown as the security vendors are yet to completely analyze these sophisticated worms. Chinese hackers working regular business hours shifts stole sensitive intellectual property from energy companies for as long as four years using relatively unsophisticated intrusion methods in an operation dubbed “Night Dragon,” according to reports from security vendor McAfee. Italian researcher Luigi Auriemma published 34 ICS vulnerabilities. The documentation also includes a section on “Fix” and this is filled with “No Fix” for certain products, there is exploit code in the wild that will compromise systems housing these vulnerable systems. Stuxnet revisited the Russian Nuclear program in Nov 2013. Hacktivists like SEA, Anonymous, lulzsec are targeting Oil and gas industry and a country wide alert has been flagged by the Oil and gas giants and nations to secure and constantly scrutinize their SCADA networks. The NSA toolkit published by der Spiegel consists of so-called “implant” items, such as Nightstand, an 802.11 wireless exploitation and injection tool; Jetplow, a “firmware persistence implant” for taking over Cisco PIX and ASA firewalls. Several key vulnerabilities have been discovered in the Honeywell SCADA/ICS systems previously for example, a vulnerability of CVSS score 7.5 was discovered on May 21, 2012 (source: http://scadahacker.com/vulndb/ics-vuln-ref-list.html) Honeywell took 1 year to release a patch to fix this vulnerability. 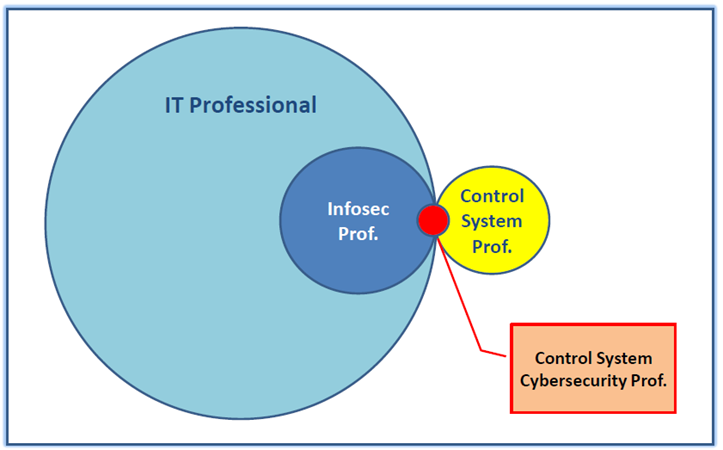 The challenges in securing ICS/DCS networks are numerous and daunting, the primary concern being the lack of personnel who understand control systems engineering and IT security at the same time, this mix is quite unique and rare. SCADA or ICS Systems are not designed with Security in Mind. It is not about securing just the PHD servers but the entire ICS network. Limited number of professionals with right competency are available. IT needs to know control systems environment and Plant operations need to understand the IT perspective. Collaboration and support from professional community is still in its nascent stages. Can’t use existing security infrastructure to secure ICS. There are multiple access points in ICS by design…radio, wireless, Fieldbus, etc. 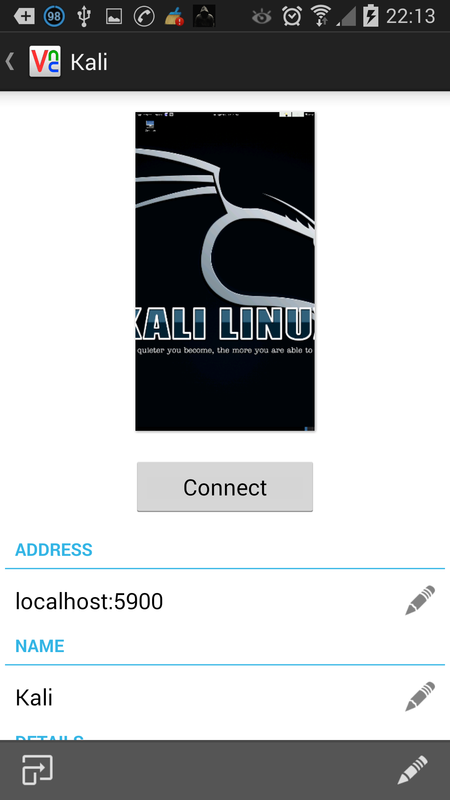 Being a kali linux user, this very topic caught my eye when I read the tweet by Nicolas Ibrahim saying that he was able to install kali linux on his android phone using limbo PC emulator, unrooted. So I looked on the web to find if there is any write up about the same and having found nothing elaborate and useful, I accomplished it myself and here it is, the detailed walk-through for your perusal. Have fun folks! Before we begin, let me give you a heads up, this is a time consuming process. 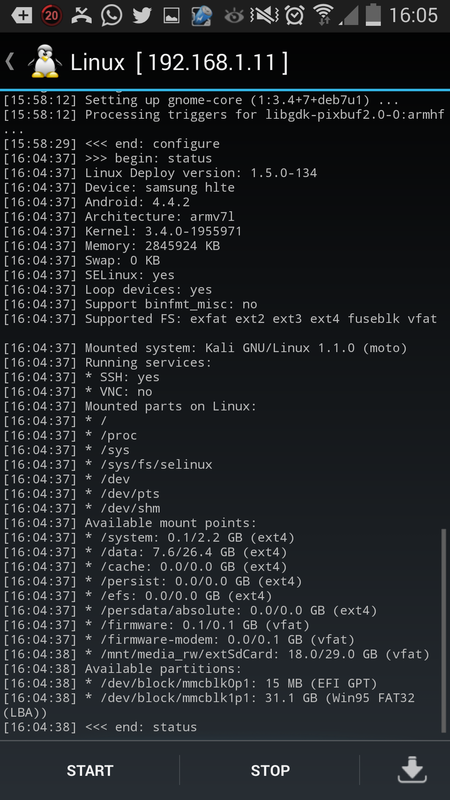 The very first step to this project is to have an Android phone running OS 4.1 +, although I have read that android 2.1+ is sufficient, I have used a Samsung Note 3 with the latest kitkat OS. It does not need to be rooted. 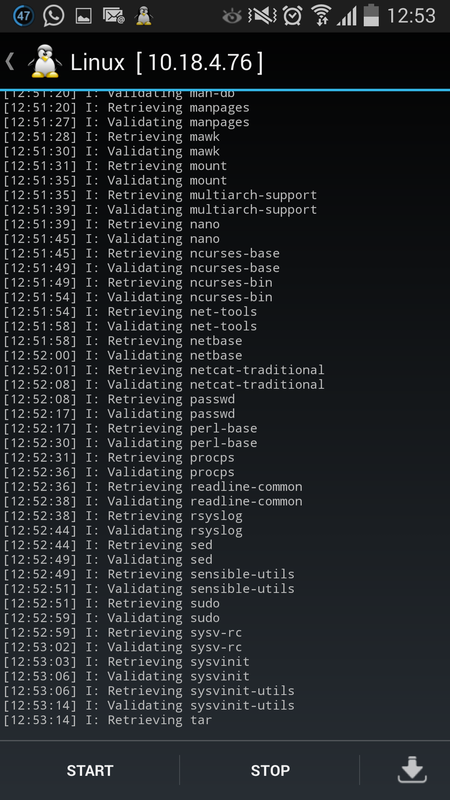 Yes you heard me right, not root required. Moving on, we have to remember that the majority of the android phones available now in the market are not 64 bit supportive they are all meant for 32 bit OS. hence, the OS needs to be 32 bit. period. 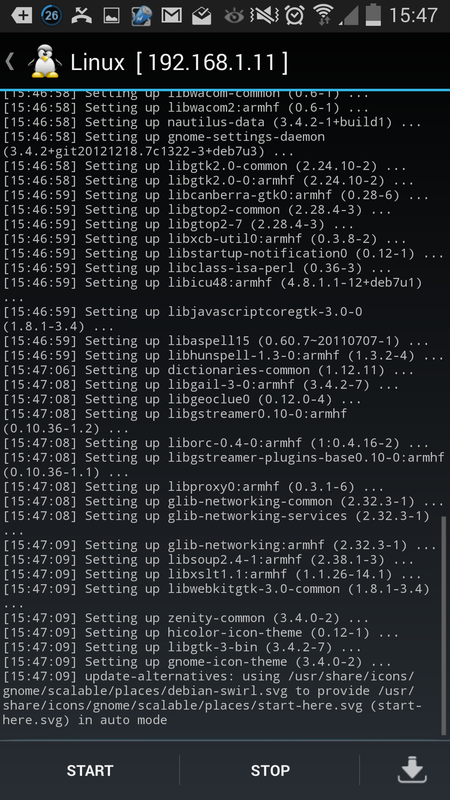 Next, we need a PC emulator for Android and we choose to install the limbo PC emulator, it is interesting to note that it has been removed from Google play store so you will have to search for other alternatives like sourceforge. Once downloaded and installed on your mobile device, you are ready for the real deal. 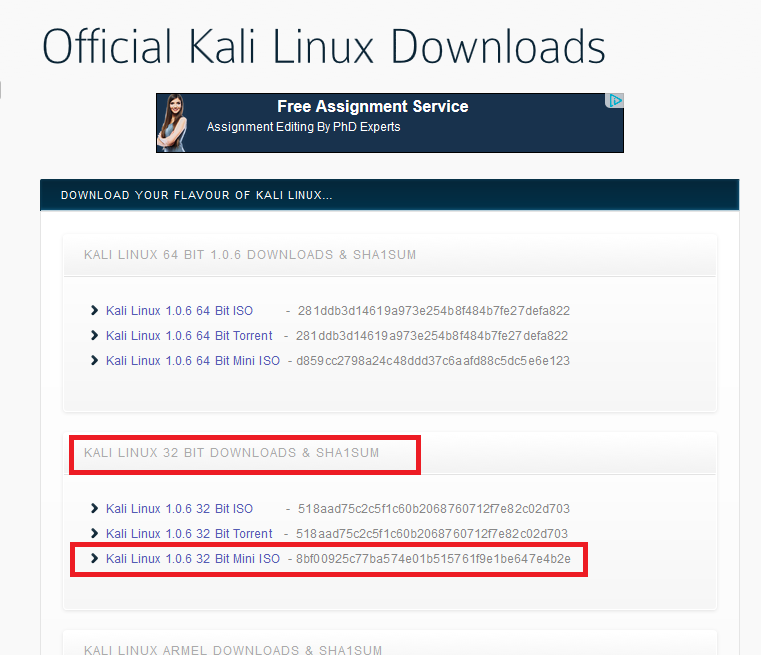 Make sure that the mini ISO image of Kali linux is saved/copied onto the Mobile device. And point the ISO image under CDROM option. You will also need to allocate space for hard disk, this will be a collective figure and it will be split into swap and primary storage later. 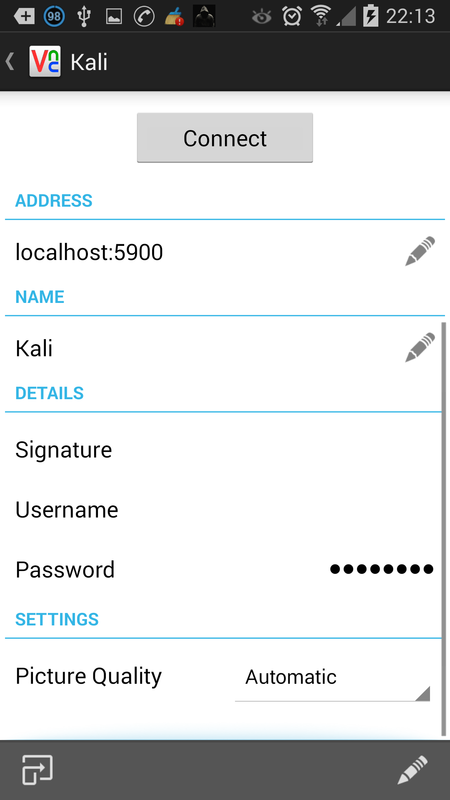 Select the Network configuration to be “User” to use the default card/settings on the mobile device. Set Boot from device to be default so post installation, it will automatically boot from the hard disk. No changes to the Advanced configuration. The easiest way to proceed would be the auto install but, I suggest manual install. 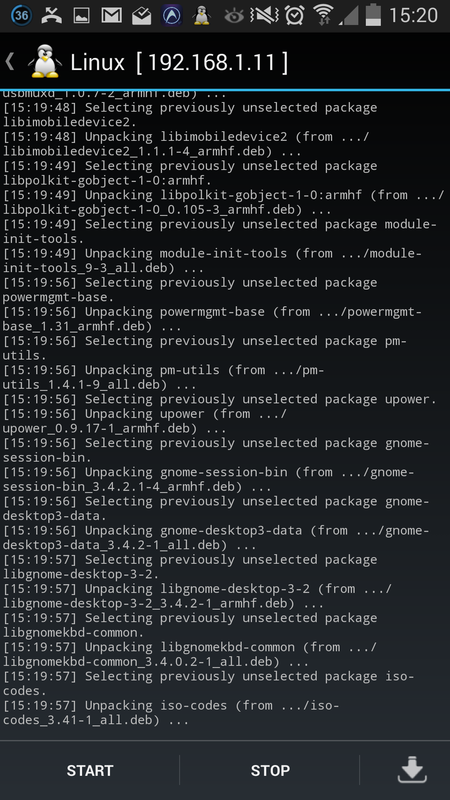 But in most cases, with the auto install, it will find the nearest available mirror and download the packages. Auto allocation of disk space, it allots swap and ext automatically but, you can manually change that as well. 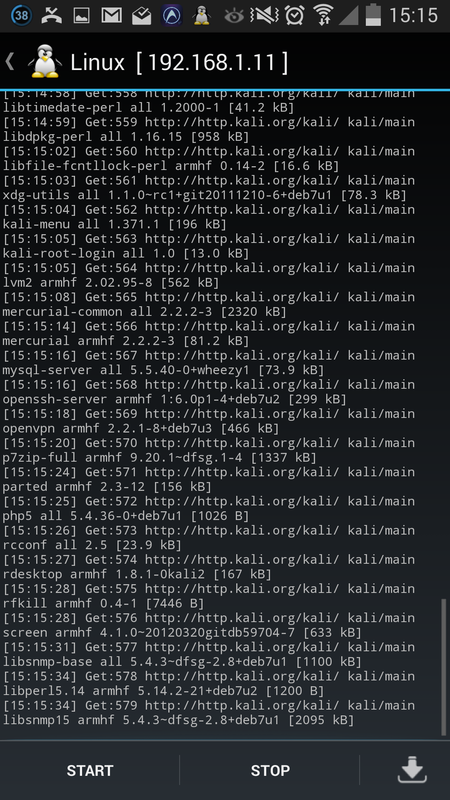 Congrats you now have kali linux on your android phone. 1. You might face issues with installing additional software packages but, don’t be perturbed, remember you can skip them and install them individually post installation. 2. Once installation is completed, if the machine does not automatically boot, go to your machine in limbo PC emulator and point the boot device to Hard disk. 4. 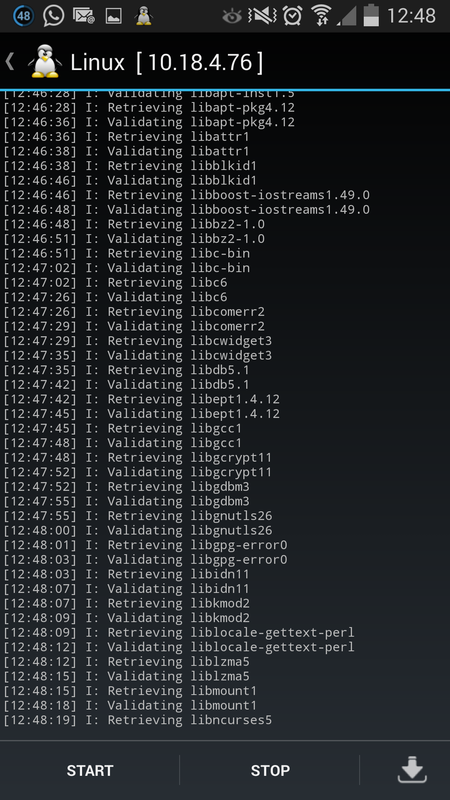 For additional troubleshooting, try to tweak the CPU settings, allocated RAM, etc.